This year was no different. 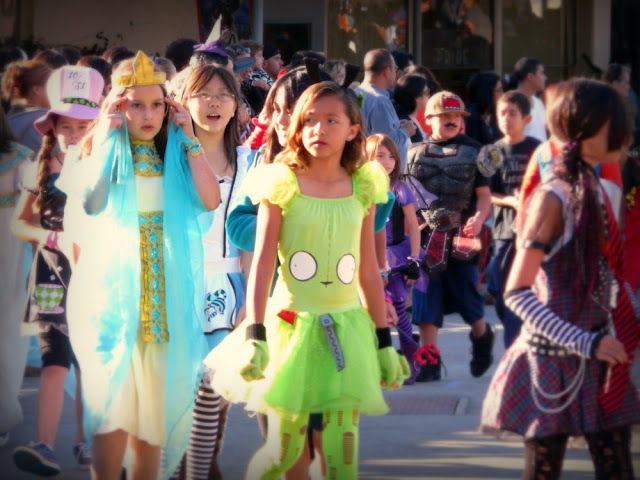 The day started off with a costume parade at her school, followed by a Halloween party held in her classroom. 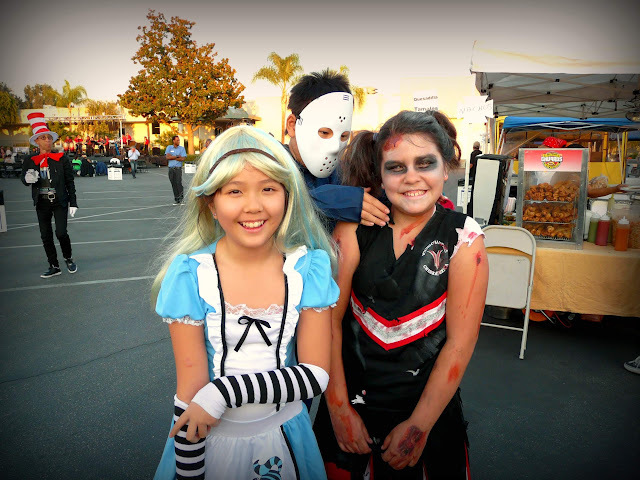 At 5 p.m., we met up with her cousin for a few hours of fun and games at a local Harvest Festival before heading off to her birthday dinner at Mikomi Sushi in Monrovia, CA. We finished the day off with an hour long trick-or-treating jaunt around the neighborhood and then a very jovial ride home in the car where their precious candy loot was inspected and traded. We have bigger plans for next year's Halloween. Oh yeah. Much bigger. 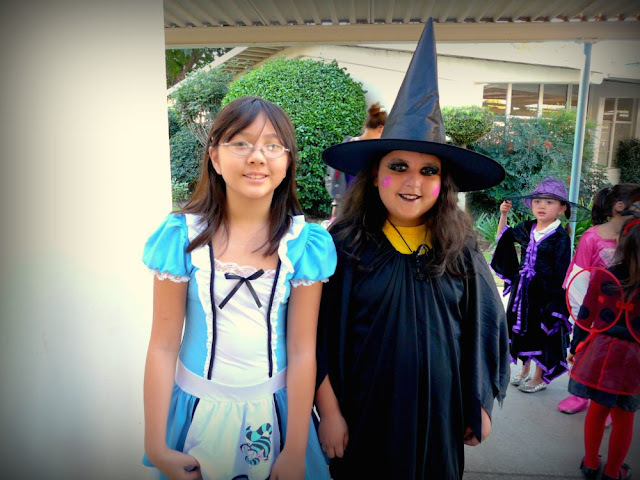 Here's my girl, Asian Alice, with her BFF in a pointy hat. 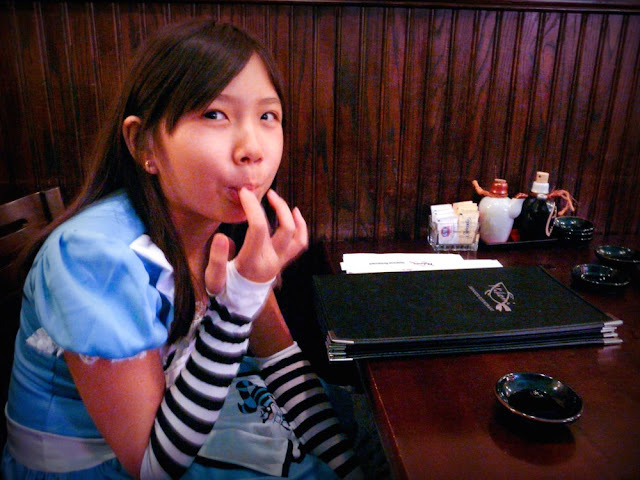 A wig came with the Alice costume but she wasn't in the mood for it at the school parade. It was highly likely that the parade had at least one of every TV, movie, storybook and musical character out there. One of her teachers came dressed as Dr. House , M.D. to which I said, "Hey, you get to be super mean to all the kids today!" "I plan on it!" he retorted with a wink. After an hour long wait, 5 minutes of tossing and twirling on this ride was probably pure bliss! Mikomi Sushi was my daughter's restaurant of choice for her birthday dinner because of one thing -- their "pink pickles". Their "pink pickles" are really just radish pickles but both my kids gobble them up like there's no tomorrow. If they offered it as an entree, they would probably just order that. I've promised them that I'll attempt to replicate the pickles this weekend so we'll see how that goes. 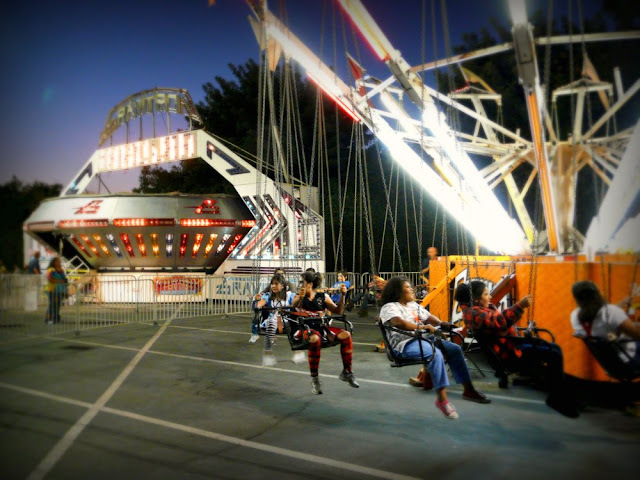 Situated right next to the Krikorian theater on Myrtle Ave., Mikomi is really right smack in the heart of Monrovia, CA. I've been to Mikomi quite a few times in the past so I'm no stranger to this eatery. They offer up daily sushi specials as well as bento lunch specials but come dinnertime and their bento specials go away. Their dinner menu consists of more gourmet-style items and pricier dishes so if you're looking for more value, come during lunch. What I love is their wide variety of rolls. They have the standard rolls (Crunch roll, Tiger roll, etc.) plus Chef Special Rolls that come with wacky names like the Homeless Roll and the Hay Mamacita! They also offer baked rolls which cater to those with a raw fish aversion. Shot of the sushi bar. Alice just inhaled a small plate of "pink pickles" in 10 seconds flat. 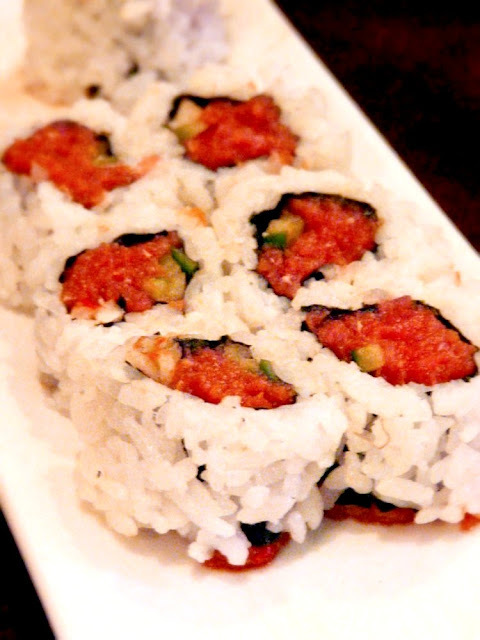 Mikomi's spicy tuna cut roll -- spicy tuna with cucumbers. Simple and fresh but nothing out of the ordinary. 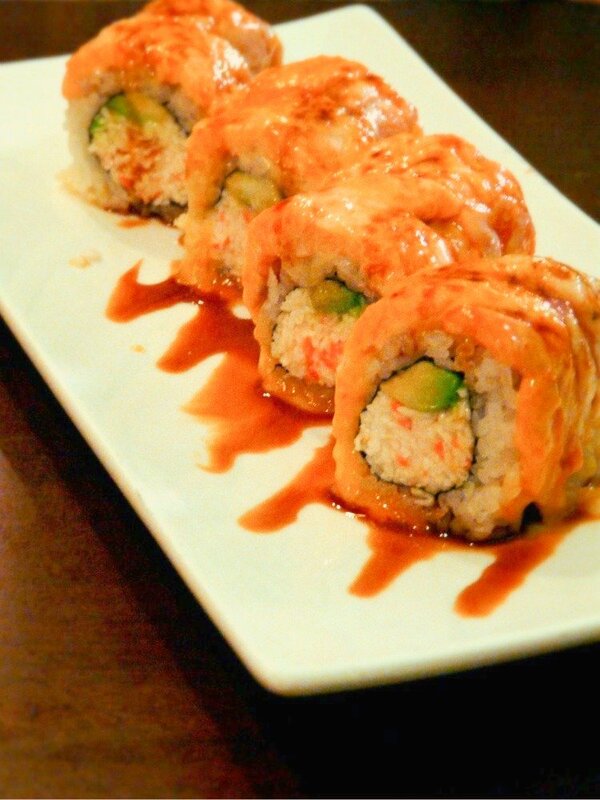 This is their Baked Salmon Roll which is simply a California roll topped with baked salmon in a sweet Teriyaki style sauce. The warm baked salmon was fresh and contrasted well with the California roll. Very tasty! 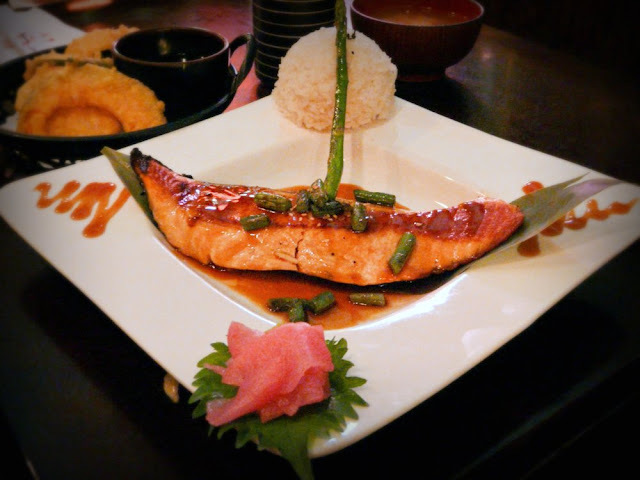 This is their Teriyaki salmon meal which comes with a side salad and shrimp and vegetable tempura. In the foreground, you'll see some "pink pickles" perched on a shiso leaf. That was quickly snatched away right after this shot was taken. Their salmon was, again, fresh and well prepared. Yet nothing out of the ordinary. I found their sauce to be a tad too sweet for my liking. 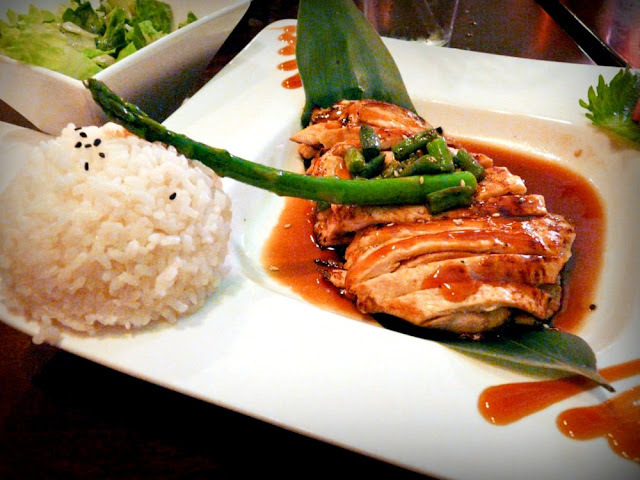 This is their Teriyaki chicken and comes with everything that the salmon version comes with. I didn't care for the chicken at all as it was paper thin, a little tough and dry and was drenched in too much super sweet sauce. All in all, Mikomi is a decent Japanese restaurant. I highly recommend their sushi and rolls over their cooked food items which are mediocre at best. 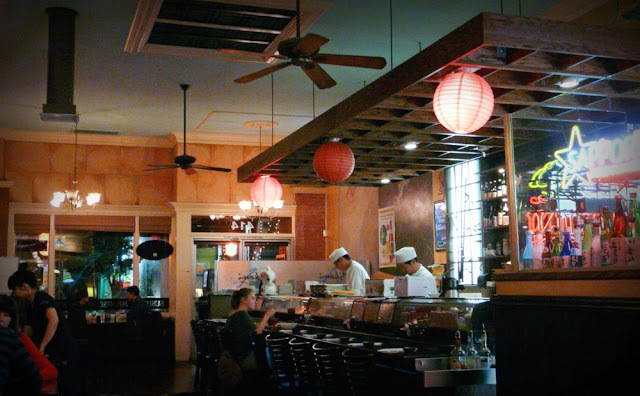 The service is average at the tables but better at the sushi bar. Let's just say that their sushi chefs are friendlier than their waitresses. I haven't had horrible service at the tables but their waitresses could stand to be a a little friendlier and a little less curt. 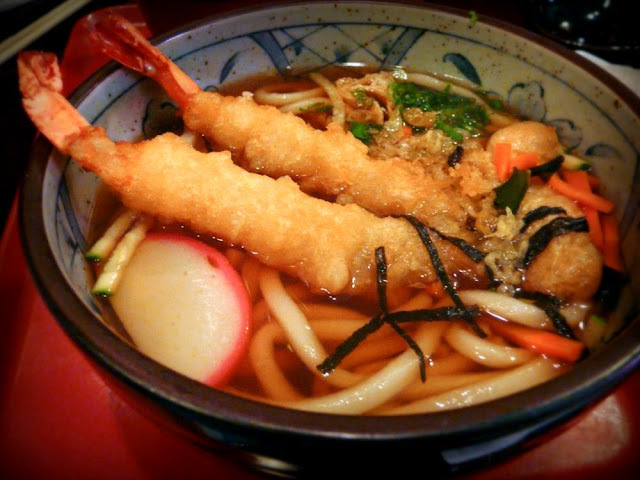 Other than that, it's a great place to bring your date or the family if you're craving some Japanese food. 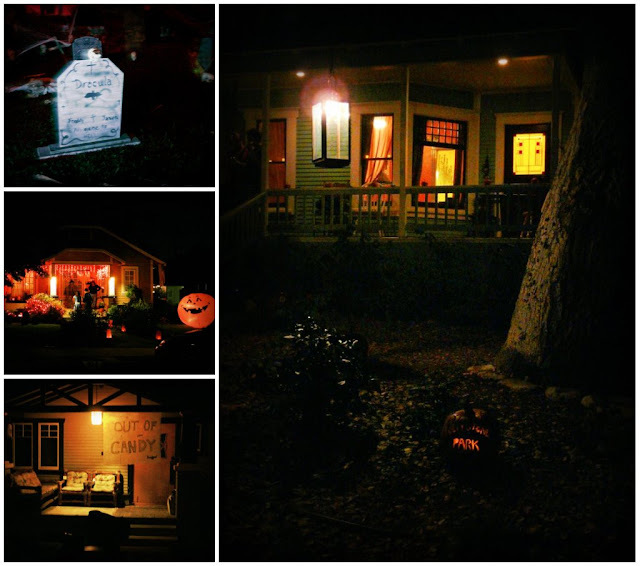 Finally, a few shots of our little trick-or-treating jaunt.